Opal Damansara is a unique Semi-D concept condominium set in a lush tropical theme. Spaciousness is everything here. Not only does its built-up sizes range from 1,140 to 3,605 sq.ft. (typical 3+1 rooms to penthouse 5+2 rooms layout), it also features a low-density design of only 60 units to an acre with only 8 units in a floor, and 30% of its land is specially dedicated to tropical landscaping. Indeed, Opal sets the benchmark in spacious tranquil condo-living in a city. 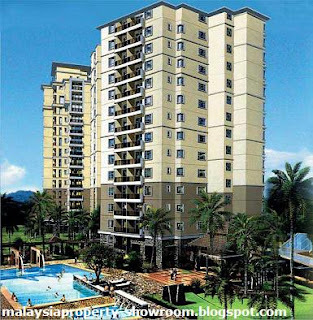 At Opal Damansara, security features are above conventional standards of current condominiums. Provided are the Single-Multi-Access Security System, CCTV to the lift lobby, car park lift and guard house, Home Alarm System that comes with a Panic Button and linked to a Central Monitoring System, and 24-hours guards. 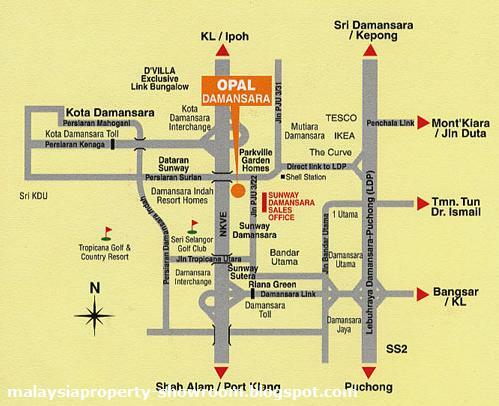 Opal Damansara also sets a great impression with its many amenities. Among its comprehensive facilities are a pavilion/gazebo, multi-purpose hall, gymnasium, swimming pool with wading pool, playground, badminton and tennis courts, reading room, and much more. Built-up Area : 1,140 - 3,605 sq. ft.